Discussion in 'Current Events' started by icehole3, Nov 7, 2018. The plan is to impeach 45, on what that is the question. Schiff can't wait. They want their revenge for Bill Clinton. vman12, Dutch, Ddyad and 1 other person like this. I'm telling ya, that would be a yuuuuuuge mistake! Unless of course he wants to get Trump re elected. Zorro and Ddyad like this. Schiff is complete and utter scum. APACHERAT, Ddyad, therooster and 3 others like this. Now that Trumps lackeys in congress have been rendered powerless, Maybe Schiff and others can get to the bottom of this ultra sleazy administration. Taking a page from Gowdy, McCarthy, Nunez, Gohmert and Jordan, the Democrats should spend the next two years bringing Trumps numbers down with constant high profile investigations like the GOP did against Hillary. So the investigations is not about getting the truth just dropping his approval ratings, another Dem telling the truth guys. FatBack, LogNDog, Ddyad and 5 others like this. Yep, go for it...America is really tired of that crap, but hey, one more time couldn't hurt right? Ddyad, BuckyBadger and ButterBalls like this. Getting to the truth about Trump and his administration will drop his approval ratings naturally. Win, win..
bx4 and Boilermaker55 like this. It worked well for republicans during Clinton...do it! Ddyad and ButterBalls like this. Dutch, Ddyad, ButterBalls and 1 other person like this. The lame duck session will be all about preventing a 2nd Trump victory. Tax returns being (D)'s top priority ... probably ethics hearings on cabinet members too. Impeachment will be their last resort, though they'll try to discourage Trump voters in 2020 by saying impeachment is imminent. Can't wait to see (D)'s on cable news ... all dripping with civility 'n stuff today. The constant Benghazi hearings run by GOP helped dump Clinton in 2016. If the Dems are smart, they will trash Trump relentlessly. There is a hell of a lot more substance there. That’s how you win these days. Schiff does not bow down to the Lying King. Clinton had already been elected to his second term when the GOP impeached on pretty silly grounds knowing they had no chance of getting rid of him. I have a $500 bet at 9-1 that the house impeaches in 2019. Looks pretty good now. We’ll see. I hope there is not enough there to get the Senate to remove Trump. I would rather endure the Trump clown show for a couple more years that have that little puke Pence as president. Just get the tax returns and if there is nothing there then drop it unless LK fire Mueller and shuts down the Russia influence investigation. Investigation fatigue has set in with all but the extreme left and if Democrats choose to litigate instead of legislate they will lose congress in two years. Ddyad, ButterBalls, Borat and 1 other person like this. Benghazi was nothing. Hillary lost because she is a hateful human being. However, I do hope the Dems listen to you, and launch a dozen investigations. Ddyad, ButterBalls, Idahojunebug77 and 2 others like this. As an American I wish democrats in congress would concentrate on working to make life better in America instead of wasting everyone's time continuing this resistance movement but politicaly speaking I hope they spend the next two years trying to remove Trump from office thus guaranteeing a red sweep in two years. Ddyad, BuckyBadger, ButterBalls and 1 other person like this. Lame duck congress headed by now limp dicks Nunez and Jordan may try to desparately quash Mueller investigation before they are rendered powerless in January. It should be interesting to see how that works out. Trump has indicated that he wants to fire Sessions and Rosenstein and get rid of Mueller and his investigation. Maybe he will appoint Rudy Guiliani or Sean Hannity as AG. This could get ugly. Mueller could send his report to Congress any day now and really shake things up. Let the games begin. 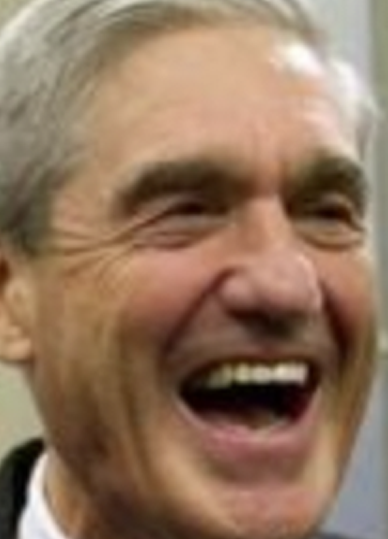 If Mueller had anything he would have released it before the election and when he releases his report that says no Russian collusion the party will be over for democrats. America will say let's move on and if democrats start new investigations america will get fed up and vote them out in two years. As an American I hope that congress does it’s job of overseeing the Trump administration and rooting out corruption while presenting reasonable ideas regarding health care and immigration reform to Trump and perhaps getting some bi partisan solutions to these and other issues. Healthcare was the issue they ran on and if they drop the ball on fixing that in favor of endless Trump investigations they lose in two years. Or maybe they could take the high road?